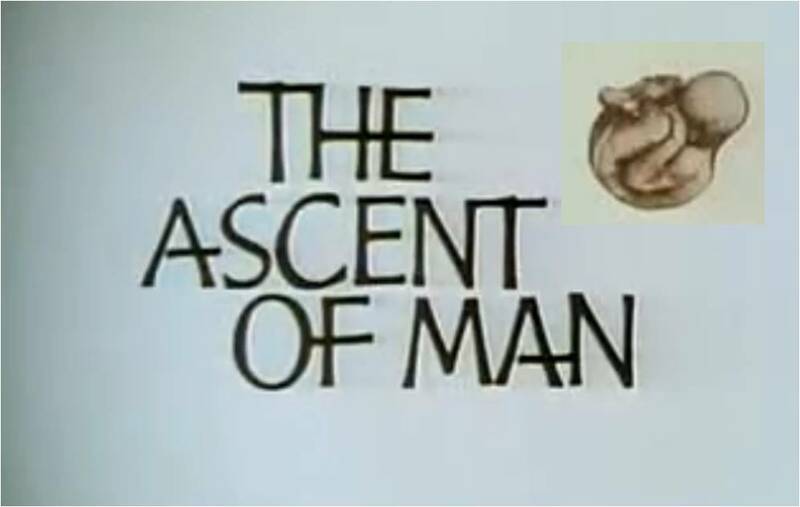 The Ascent of Man is a 1973 BBC documentary series written and presented by Jacob Bronowski, looking at human history through scientific and technological achievements from prehistoric era to the mid-20th century. The title alludes to The Descent of Man, the second book on evolution by Charles Darwin. Over the series' thirteen episodes, Bronowski travelled around the world in order to trace the development of human society through its understanding of science. It was commissioned specifically to complement Kenneth Clark's Civilisation (1969), in which Clark argued that art reflected and was informed by the major driving forces in cultural evolution. This episode tells of human evolution from 4 million years ago to 400,000 years ago, using computer graphics. This episode explains early human migration, agriculture, the introduction of tools, and the domestication of animals. This episode looks at the development of architecture and sculpture, visiting Arizona's Canyon de Chelly, Peru's Machu Picchu, etc. This episode traces the development of chemistry from the early use of fire to disclose metals like copper to our modern knowledge of the elements. This episode looks at the evolution of mathematics, tracing the impact of Pythagorean thought on the Islamic empire, Moorish Spain and Renaissance Europe. This episode looks at astronomy, tracing the origins of the scientific revolution in the conflict between truth and religious dogma, symbolized by the trial of Galileo. This episode tells of the evolution of physics, looking at the revolution that occurred when Einstein's theory of relativity upset Newton's elegant description of the universe. This episode looks at the industrial and political revolutions of the 18th century, which were as significant as the Renaissance in man's progress. Jacob Bronowski focuses on the theory of evolution by natural selection, which he describes as "the most important single scientific innovation in the 19th century." This episode looks at the world inside the atom, tracing the history of the men and ideas that have made modern physics. Jacob Bronowski talks about physics and and the clash of the pursuit of absolute vs. imperfect knowledge, and the misgivings of the scientists realizing the terrible outcome of the conflict. This episode examines the complex code of human inheritance from the experiments of Gregor Mendel to the discoveries of today. This episode is a summing up of the various strands of thought that have been developed during the series, investigating man's growing self-knowledge. This is an eight-part documentary series hosted by Jason Silva, tracing the pivotal innovations that make us modern. This is a twelve-part documentary series telling the history of the human race from the beginning of humanity to the rise of modern society as we know it through some of critical events in human history. This is a ten-part documentary series presented by science historian James Burke, exploring the various paths of how our modern technological world came into existence.